Guess who’s bought a jet to a gunfight? That’s right. 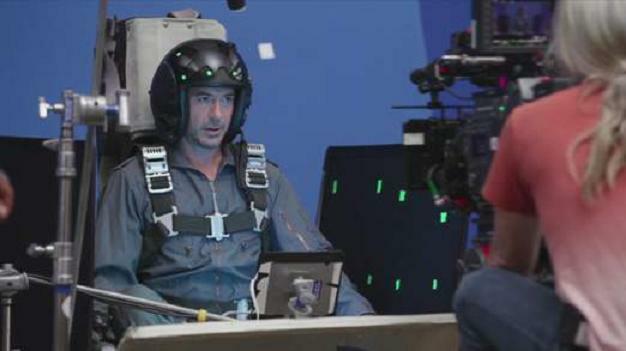 Iron Man (Robert Downey Jr.) has popped up in the latest Call of Duty: Black Ops II trailer, which has been directed by Guy Ritchie. That may comes as a shock to some people but the gaming industry is big business and it is likely to be worth in excess of £50 billion by the end of 2012, with many titles having development budgets which exceed those of Hollywood blockbusters. This isn’t the first time Hollywood stars have been associated with Call of Duty titles: Kiefer Sutherland and Gary Oldman have previously featured in single player campaigns. Outside of the COD franchise, we have seen Ellen Page in Beyond Two Souls, Micky Rourke in Rogue Warrier and Jack Black in Brutal Legend. No doubt this is a trend which will continue as the games industry continues to buck all signs of global recession. The most recent title in the Call of Duty franchise, Modern Warfare 3, absolutely shattered box office records for any form of entertainment release, selling 6.5 million copies in a single day. Avid Call of Duty fans will no doubt spot a certain FPS Russia in amongst the more household names. We have to commend Kyle Lamar (0:36), who has taken his alter ego from a small YouTube channel to the big screen in less than three years. Some of you may also recognise iJustine (Justine Ezarik) who pops up at 0:14 wielding a tomahawk. Can you spot anyone else? Let us know in the comments! Black Ops 2 – available 13th November 2012 – pre-order now! Black Ops 2 is released on 13th November, 2012 and anyone who pre-orders a copy will receive Nuketown 2025 as a free download.